Despite not being able to go more than about three hours without reading, hearing or saying the words 'poker' and 'news' in quick succession, my attendance at the PokerNews Cup in Melbourne was pure coincidence. My best friend married another best friend, one of them was Australian and it would take me a 22 hour flight and being violated at customs if I wanted to hear them say 'I do'. Travelling 13,000 miles is not advisable for a weekend away, which meant that I had to spend at least a few weeks out there to justify the severe jetlag I am currently experiencing. As soon as I heard the PokerNews Cup was taking place in Melbourne the day after the wedding, I knew exactly what I would be doing with my spare time. I actually landed in Sydney as we had some friends out there and I've always wanted to have my picture taken next to Sydney Opera House (Not as much fun as I had imagined). Sydney is a brilliant city, like London or New York with one exception, it's clean. It is also home to the Star City Casino, it would have been rude not to check it out. Australians are mad for gambling and I was getting sores on my feet just walking across the endless gaming floor. Tucked away at one end of the casino is the poker floor which consists of about 9 tables of close to 24 hour cash action. I had just missed out on a tournament but the cash games were already full to the brim. I registered for several tables and I could track my progress on the many monitors above the card room showing you where you were in the queue. When it was my turn I got a text message from the casino telling me my seat was available. Although I didn't need it as I was stood directly next to my table anyway, willing someone to go broke so I could soon do the same. Like most casinos, its only really hold'em on offer, although there were some interest lists for Omaha which never filled up. Limit hold'em is quite popular here, but No limit covered most tables. The lowest tables were $80 buy-in going all the way up to $1000. I sat down at a $5/5 table and was immediately struck by the first of two themes that repeated themselves over the trip. Australia is one of the friendliest places in the world to play poker. Everyone is very chatty, take bad beats very sportingly and generally make each other very comfortable at the table – the atmosphere feels more like a home game rather than the psychological war poker can be. The second prevailing impression that I was left with upon my return to "Blighty" was, and I mean no offence here, YOU CAN NOT TAKE AN AUSSIE OFF A PAIR. In fact, it takes a lot of hard work to get them off queen high. The cash games were some of the loosest I've played in real life and it was amazing some of the junk I would get called with. A pre-flop raise under the gun would have no less than six callers and there is no such thing as a 'scare card' at these tables. If you go all-in, expect to hear the words "Well, I suppose I've come this far" as your Aussie mate puts his chips in the middle regardless of the action before or after him. I ended up down for the session. I'm not going to complain about bad beats (but I got three-outed twice! ok I am going to complain about bad beats) but I would have loved to stay in Sydney for a month as I'm sure I would have got it back. Regardless, I had loads of fun and was made very welcome by the locals; I never heard the word 'Pom' once. One slight complaint was the rake and structure. Few cash games allowed you to buy in for more than 40 big blinds, which perhaps explained the looseness of the games. The rake was awful and it was completely different dependant on the table you joined. Some had an hourly $10 charge, some took 10% of the winning pot and worst of all; my table took $1 off each player each hand, which really, really added up over a three hour session. I said good bye to Sydney, the Star City Casino and about $500 and made my way to a gorgeous beach town called Byron Bay, which was a bit like Home and Away. 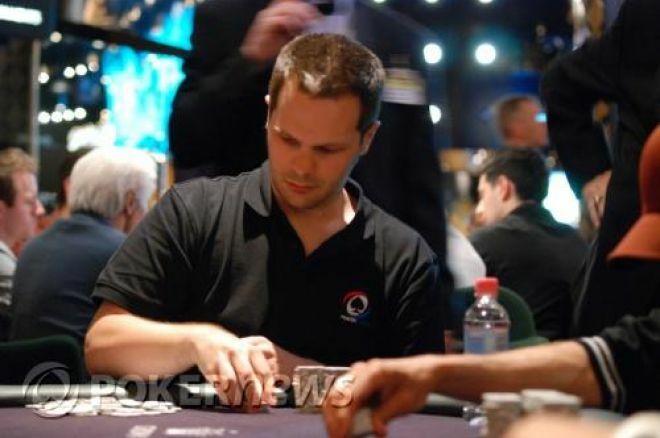 It would be a week before I played poker again, this time in Melbourne at the PokerNews Cup. Watch this space for part two of my report to see if I donated any more money to the Australian Poker Community.